ATS Bouquet: Welcome to a new world of sophisticated commercial spaces packed with supreme features for total satisfaction! Noida is a beautiful city and a part of the National Capital Region that keeps going through rapid development each day. Without a doubt, this is one of the fastest growing parts of the NCR today. The real estate industry in Noida has come a long way over the years with a number of residential and commercial developments throughout the city. ATS Bouquet is a new commercial development in Noida by ATS Group that offers beautiful architecture of pure elegance and grace. Spread across 7.5 acres of land, this development contains 3 exquisite structures (2 high-rise and 1 low-rise) that offer modern-day spaces offices and retail brands. This development truly is a bouquet of modern-day architecture, sophisticated features and well-endowed spaces that will sure impress your clients and customers. 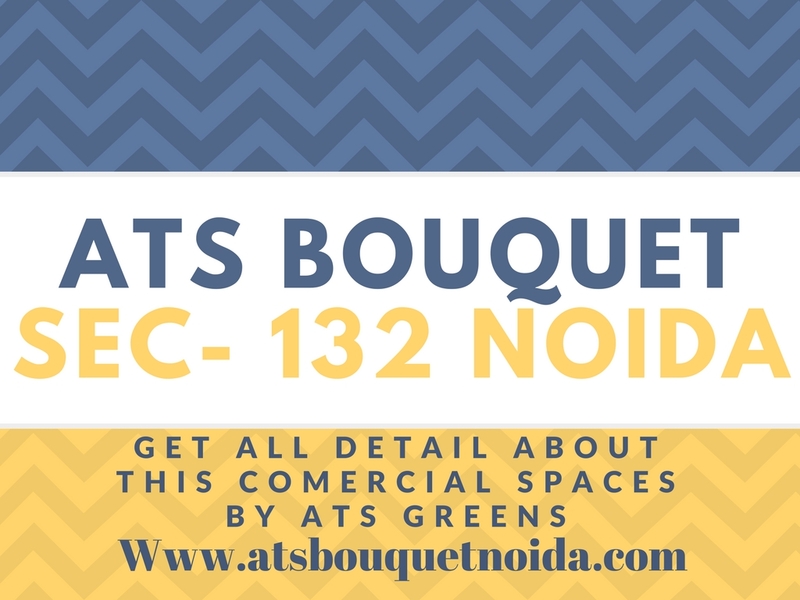 ATS Bouquet Noida is an exclusive green building development that offers beautiful luxury spaces for every business/brand/retail to flourish beautifully. With massive internal and external features, there is a lot to look out for at this development. The commercial spaces are spacious, offer Wi-Fi connectivity, provisions for optical fibre cable (OFC) and contain energy efficient lighting, heat resistant glass, granite/marble flooring in all lobbies, vitrified flooring/granite flooring in corridors, kota stone/IPS in lifts, staircases, anti-skid ceramic tiles in washrooms, central air conditioning systems, elegant car parking, swift elevators, rooftop landscapes, multi-cuisine restaurants, convenience shopping, open food kiosk, entertainment zone, business centre, high-end furnishings and fittings, efficient power back-up, fire alarms and detection systems, premium security with CCTV video surveillance. This commercial development offers unique retail and office spaces for every employee and customer to be happy and satisfied each day. Experience an increase in customers and a decrease in absenteeism after taking-up a modern-day commercial space here. Located at Sector 132, Noida Expressway in Noida, this premium development comes in close proximity to a number of landmarks like hospitals, medical centres, supermarkets, cafes, shopping centres, general stores, all kinds of public transport and so much more. This development cannot be passed-by unnoticed and that is for sure. 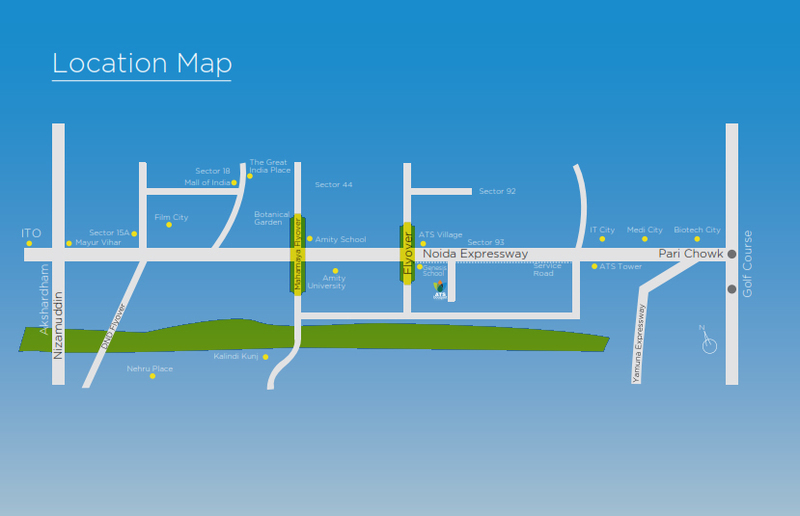 The location of this development also offers easy connectivity to different areas in Noida and NCR as well. The ATS Bouquet price is affordable and definitely worth a buy. Better gains and profits is something every business and brand can expect when located at this development. The architectural beauty and ideal location makes this commercial development a total winner. There are multiple payment options available along with commercial loans, etc., that you can opt for without any hassles.